There are a thousand or so scientists and support staff at McMurdo station during the summer months, so you might expect that there’re some pretty awesome projects going on. 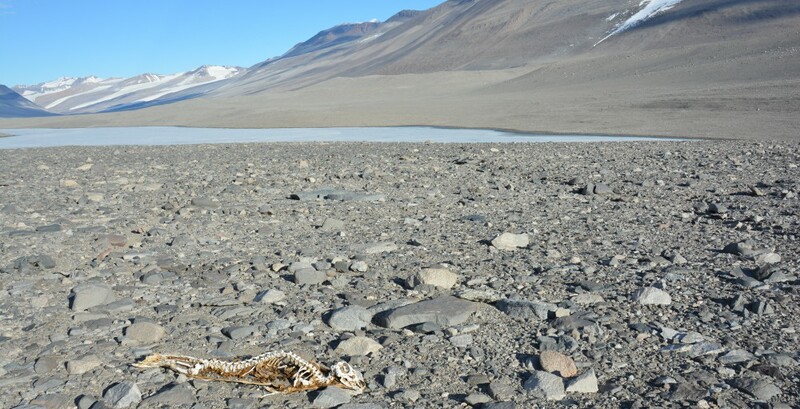 I’ve met ecologists who are studying lakes in the Dry Valleys, geologists mapping the crater of Mt. Erebus (an active volcano on Ross Island! ), and glaciologists planning for work at the South Pole. Yesterday, Rachel and I met a planetary scientist who is developing a prototype for a robot that could explore beneath the ice of Europa. Europa is an ice-coated moon of Jupiter, with a cracked surface and a little jiggle to its rotation suggestive of liquid water beneath a thick frozen layer. It’s a primary target for finding signatures of life in our solar system. I think it’s even more exciting than Mars in that respect, but I’m no planetary scientist. 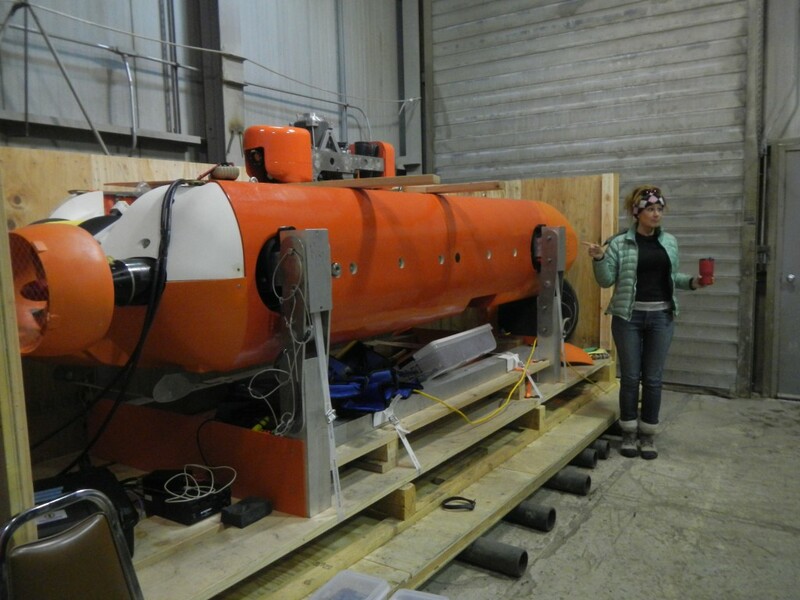 The Europa team, led by Dr. Britney Schmidt, has done an absolutely incredible amount of engineering and field-testing to develop an autonomous underwater vehicle (AUV) capable of exploring beneath the ice. Antarctica—specifically the several-hundred-meter-thick ice shelves surrounding much of the coastline—is the closest thing we have to Europa on Earth. So, Schmidt is here, deploying her new instrument down a hole drilled right through the ice shelf and into the frigid water below. The Artemis robot, hanging out with it’s science hat up. Photo credit: Rachel Valletta. The AUV is so cool!! It’s got a little hat that pops up out of the main body to nestle up against the base of the ice shelf and determine if proteins are present. It maps out the seafloor topography, which we can’t do without robots like this. And it knows where it is, even without using GPS, through use of some fancy gyroscope that uses the planet’s axis of rotation as guidance. The robot (it’s named Artemis) has to do its thing without input from humans, so it needs to be able to navigate back to its entry hole. Once it’s close to the hole, it homes in on a cylindrical flashing blue LED beacon and slots into a cable attached to the cylinder. Then the cable pulls it up out of the drill hole so it can talk to whatever instrument will receive its data. It’s super awesome. Just getting to hang out with scientists working on these sorts of projects is a fabulous learning experience. This entry was posted in Uncategorized by kelsey_winsor@uml.edu. Bookmark the permalink.